Marissa Miller, Malini Rao, Paul Rushton, Roel Rabara, Naveen Kumar, Mani Choudhary. Dr. Roel Rabara: Completed his Ph.D in the Rushton Lab in March 2013. He joined the new Rushton Lab in Dallas in May 2013 as a Postdoc. Roel has experience of pretty much all of our work and acts as the lab manager. It is Roel who keeps the lab going in the right direction. Roel has 15 publications from his work in the lab plus a few conference publications – a very impressive rate of production. Dr. Mani Choudhary: Joined us at the end of 2013. 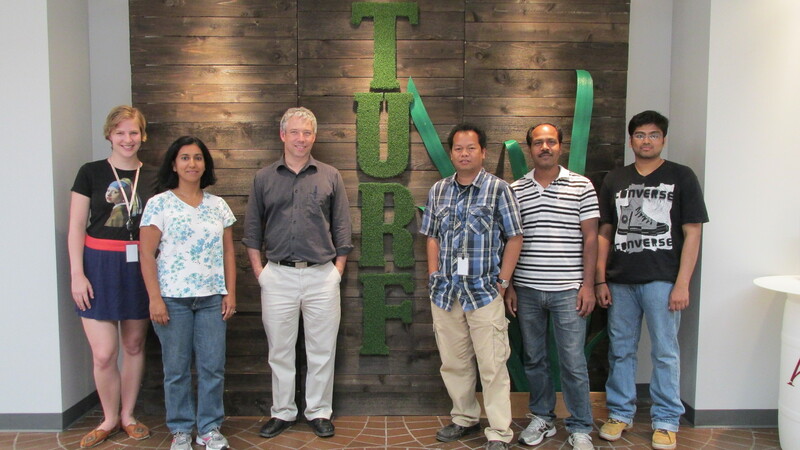 He is an expert in nuclear proteomics and phosphoproteomics and has generated the first nuclear proteome from a turf grass during water stress. 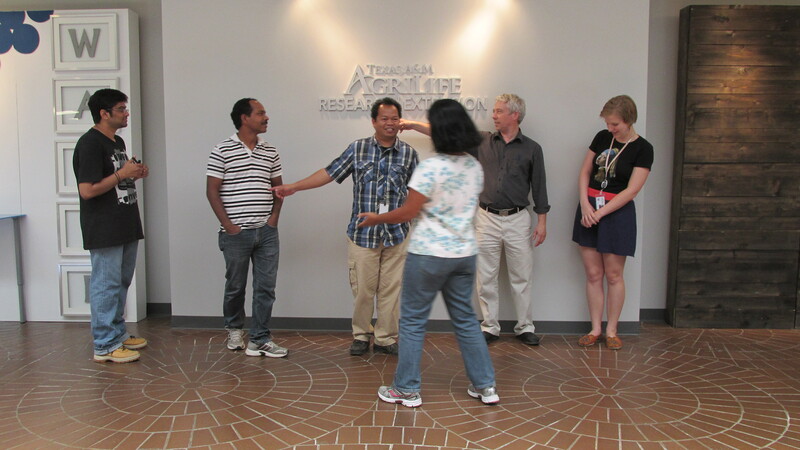 Ying-Sheng Huang (know as “Leon”): Joined us from Rebecca Dickstein’s lab at UNT towards the end of 2014. Leon is working on many aspects of our work and already has his name on his first paper out of the lab. 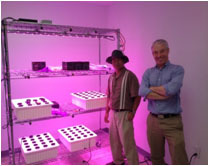 Das Petranova: Das Joined the lab in the late spring of 2015 and joined the high throughput phenotyping project that we are doing in collaboration with Steven’s Brumbley at UNT. Naveen Kumar: Naveen is a masters student at Gothenburg University in Sweden. He joined us for 2014 to work on isoflavanoids in drought responses, gene expression, and promoter technology. Deena Rushton: Worked in the old Rushton lab and also as a grad student at UNT in a joint project between the Rushton Lab and Stevens Brumley’s lab. Marissa Miller: Worked with us during 2014 and the first half of 2015 on stomatal density, drought, and qRT-PCR. She is still at the Center but planning her graduate studies. Dr. Prateek Tripathi: Prateek completed his Ph.D in the Rushton Lab at the beginning of 2013. He is now a Postdoc in Steve Kay’s lab at USC. Malini Rao: Joined the lab in October 2013. She was involved in many of the lab activities and left at the end of June 2014. Charles Rinerson: Charles also worked in the old Rushton lab. He continued his work with the WRKY gene family from switchgrass and NBS-LRR-WRKY genes in the Fall of 2013. Tanner Langum: Tanner worked in the lab as an undergraduate and now works for a biotech company in Alaska. Ashley Boken: Ashley was the first undergraduate in the lab and now lives in Rapid City. Dr. Jun Lin: Jun was the first Postdoc. She left in 2011 for a position in industry. Darius Boomsma: Darius was a Masters student and worked on bat molecular ecology.